I didn’t set out to make it this way, but I guess the best songs of the early decade came out either in 2002 or 2004. I’m not particularly religious man, yet I love this song (stranger still is that my non-religious wife loves it too, as does my athiest sister). 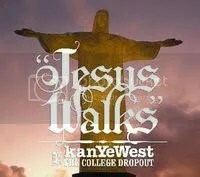 By making a song to praise God, Kanye created a song more ambitious, more epic, and more complex than most everything put out not only in the world of hip-hop, but also in pop music in general. Kanye swung for the fences with this track, backing it with a persistent martial beat, middle eastern sitars, a chorus of children, gospel background vocals, and earnest vocals, allowing it to be an undeniable song even for those who might not share his spiritual views. 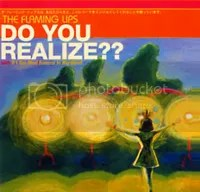 This is why I can never be a full-fledged music snob: a true scenester would never admit to finding The Flaming Lips’ most famous track, one that reached prominence from its use in commercials no less, as their absolute favourite Flaming Lips song. Perhaps it’s because I’m getting older, but I have little time for trying to prove my cred by being obscurist. Because here’s the thing: even if no one other than devoted fans had ever heard it, “Do You Realize? ?” would be a phenomenal, once-an-era track. Full of hope, wonder, despair, and majesty all at once, the song is utterly sublime. The fact that other people have heard it or that Hewlett-Packard used it in a commercial could never change that. I could probably listen to it every day of my life and still feel the same way. Number three is a familiar spot for this song, as it occupied the same spot in my Top 5 Songs by Canadian Artists list. In truth, it’s tough to pick a favourite Arcade Fire song, as so many are excellent. In fact, it’s not easy picking out the best Arcade Fire song with “Neighborhood” in the title. So it’s entirely possible that I go with this one simply because it’s the first Arcade Fire song I ever heard (and yes, that is because it’s track one of Funeral). I get to see them live in September, which should change my world (not to get my hopes up too high or anything). Hey new readers (who might only be figments of my imagination)! Interested in those other songs per decade lists I mentioned last time? Click on the list tag to see them and other lists. 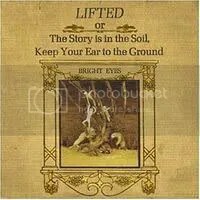 Sometimes I think I only listen to Bright Eyes’ music because of this song. I do like other songs from Conor Oberst, but for the most part, I find him to be pretty tiresome, too busy with his self-involved pretension to truly achieve greatness. Well, almost, cause he certainly achieved greatness with this track. A haunting, confessional track about the attempt to lose oneself in someone anonymous, the track highlights the lyricism that those who love Oberst fawn over, without completely falling into itself like many of his self-indulgent tracks. 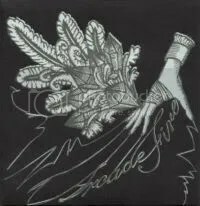 The rising violins and organ build to crescendo, completely encapsulating the listener in this tale of gloom. If only all his songs could be this majestic. When I began making my best songs of the decade lists, I wasn’t sure what I was going to do with the 00s. I’d be comparing 7 years instead of ten like with my 60s, 70s, 80s, and 90s lists. Plus, it’s tough to compare a song I just heard a few months ago to one from 6 years ago. So I wasn’t sure if I was going to do a list at all. Instead, I came up with the compromise of doing the a list from the first half-decade, from 2000 to 2004. What’s different about this list from all the others is that finally I’m doing a list of songs I listened to as I came out. Yay! Note: I limit these lists to one song per artist. Here’s the thing about Coldplay: I know it’s not really cool to listen to their music, and that a lot of people who enjoy their music have no taste in music. But, that doesn’t mean that their music isn’t good. Sometimes, not often, but sometimes the general public gets it right, even if they do so for the wrong reasons. 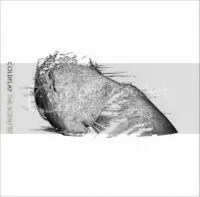 So, I’ll say it: I’m a fan of Coldplay, and “The Scientist” is their best song. Luckily, enough time has paced from its period of annoying ubiquity for me to be able to feel that way about it again. I came up with this idea when decided to review the Lethal Weapon series, along with the nostalgia wave that has followed the release of Live Free or Die Hard (which I have not seen, and am not that interested in). People seem to be longing for the 80s-style action movie of explosions, quips, and less CGI. I’m not a huge action movie fan myself, but I did watch them back in the day, and figured I’d come up with a list (since coming up with lists is what I do). To be clear, this is a list of 80s-style action movies, not just movies that featured action that were released in the 80s. So a great movie like Raiders of the Lost Ark doesn’t qualify, since its not a typical, good guys vs bad guys blow-em-up 80s action flick (it’s more of an action-adventure). These are the movies you think of when you think of 80s action flicks. This list was the most difficult for me to make. This time out, I was both alive for the whole decade AND a consumer of music. In fact, I took music pretty seriously for the whole decade. The problem is that the music I took seriously (and bought in massive amounts) isn’t the music I take seriously today. Throughout the 90s, I exclusively listened to hip-hop and R&B music. East Coast, West Coast, Underground, Gangsta, all of it. But, as time passed, I got a little older and the music of my youth didn’t speak to me as it once did. It also wasn’t as good as it used to be, as hip-hop became more mainstream and more predictable. So I turned to rock, and eventually indie rock. The result is the songs I now like from 90s are quite different than the songs I liked in the 90s. But, it’s not like I listened to crap back then, so part of me want to represent that part of me in this list. But it’s hard to compare songs I listen to frequently with songs I mostly just listen to for nostalgic purposes. And thus, this list was hard.